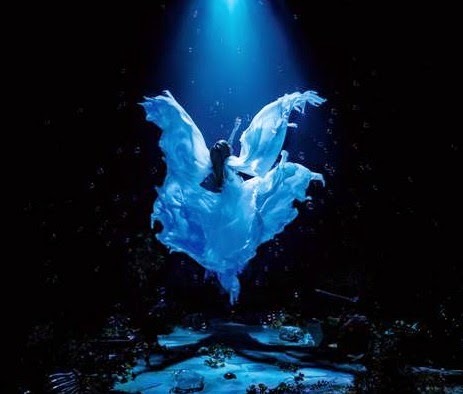 A breakout year for singer-songwriter, Aimer (Eme) in which she played her first show at the Nippon Budokan and released 2 new albums, in which both ranked in the top 10 of the Oricon weekly album chart. Her newly released EP, “Dareka Umiwo” is now available and the title track is featured as the ending theme song for the anime series Terror in Resonance which is produced by the renowned composer, Yoko Kanno. Other tracks from this EP feature collaborations with artists including, Mao Abe, Yuuki Ozaki (Galileo Galilei) and Ryo Nagano (APOGEE). This latest EP from Aimer truly showcases her beautiful vocal abilities along with her harmonious unity with great artists and composers that she truly respects. Growing up in a musical household, she developed interest in music from a young age. While in elementary school she took up piano and started learning the guitar from junior high school. At the age of 15, due distress to her throat she suddenly lost her voice and had to take a break from furthering her music career. A few years later, she fully recovered and came back with her signature husky yet sweet vocals. Earlier this year, she performed for the first time at the Nippon Budoukan and made a guest appearance at Mao Abe’s concert in Tokyo. In May she released her 6th single “StarRingChild”, which debuted on the Oricon single weekly charts at #3 and in June, she released her 2nd album “Midnight Sun”, in addition to her collaboration album with Hiroyuki Sawano “UnChild” in which both albums climbed to the top 10 on the Oricon weekly album chart. Aimer continues to impress with many projects with film directors, renowned artists, and creators. With her acclaimed vocals, fans can look forward to more projects coming down the pipeline for this up and coming singer-songwriter. ‹ The Weekly Quickie: VAMPS Halloween Party, ViViD, Magistina Saga, Crossfaith, XENON, The Black Swan	› Infuzzion Episode 2: Airing September 20th!